Sterling silver bangle with small round created opals. 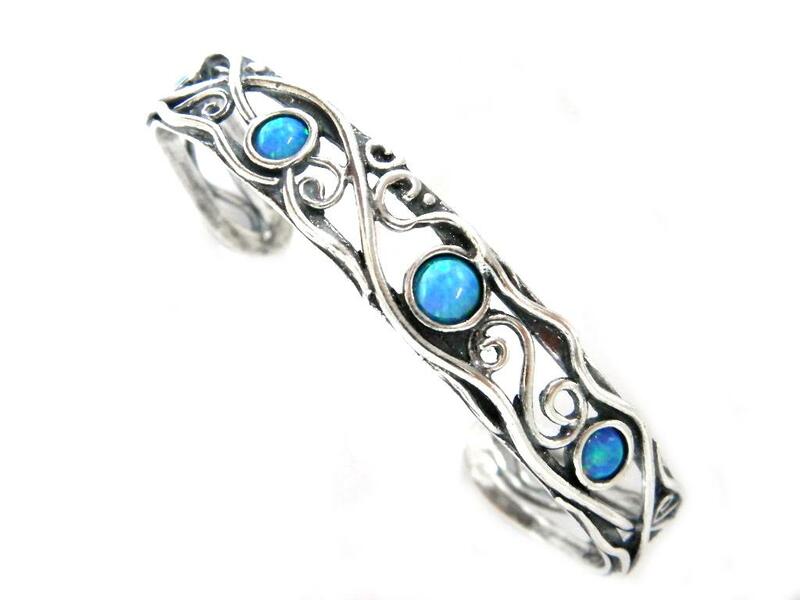 This bangle features a swirly silver design and gorgeous blue created opals. Wear alone or pair with any of our blue created opal pieces for a unique look.